As we have discussed in previous posts, social media is the best ally to a growing business. 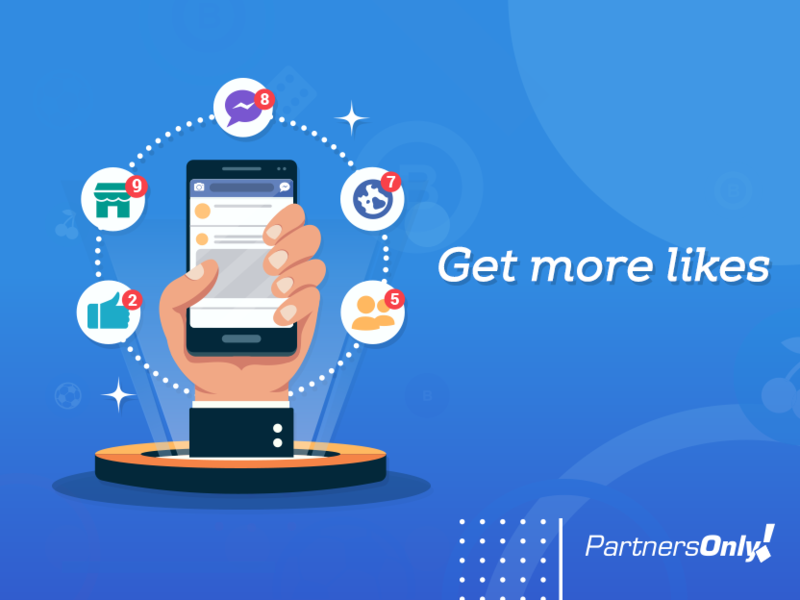 Out of all the existing social media tools, Facebook is for sure the most used around the globe, this is why it is a must to understand how to get the most out of it. In this article, we will learn how to announce over Facebook correctly in order for your ads to work as expected. A good tip is to do your homework! Do the strategic planning even before creating a campaign, this way, when creating such campaign, the task will be just to make sure we are following our strategy. How to announce over Facebook? We will show you with a few simple steps, what is needed in order to have a good advertising over what is now the social media with the best acceptance around the globe. In order to apply the tips below you should already have a Facebook account, this way you could start working on your first campaign. Let’s see what should be done, step-by-step! As said, in order to start up your first campaign over Facebook, you should first able define your marketing target, what is it exactly that you want as a result of your efforts towards this campaign. Never start an advertising campaign without acknowledging your goal. Next, you should choose a name for your campaign. It is recommended that you choose a specific and straight-to-the-point name, with the correct keywords. This will be extremely important in the future, when you have many on-going campaigns, otherwise you and your potential customers could get easily confused! After that, determine your audience. Do the correct segmentation, without limiting too much the amount of people that could bring quality traffic towards your announcements. This means, all those people that might be really interested in whatever you have to offer. Now it is time to invest in your campaign so you could have a well-planned budget. The minimum to be invested is very low, which means convenience and low risk for you to take your chances. The relation between selling opportunities and cost is very good. After you are done with the previous four steps, it is time to define exactly what your advertisement will be. Include banners, images and text with a persuasive language, this to convince the potential customers to buy your product. Come up with banners that will differentiate your offer from any other, showing the advantages and benefits your potential customers will get in case they decide to choose your product. Never forget to include a “Call-to-action”, to gently push the person to make a decision: Register, Like our fanpage, Download our e-book. Finally, Click in “Order now” and wait for Facebook to approve your announcement, this could take a few minutes at times. Once your announcement is approved it will automatically remain active. It will just need you to see the development of your campaign in order to evaluate later. Pay attention to the results! – Once your announcement is created and just before launching your campaign, there is one detail you should not forget about. Actually it is not exactly a detail but a very important point: you must think strategically which page within your site that call to action will lead your customers to. This is directly related to your target, for example, if the announcement promotes the registration of new customers, besides the CTA (Call-to-action) “Register now”, this button should take the people to your registration page, motivating your potential customers to give you their data. – Facebook does not accept banners that include more than 20% text in comparison to the size of the images. Use Facebook’s own free tool to measure and be sure your banner will be accepted. – Choose banners with colours that stand out on Facebook, avoiding banners with lots of dark blue, and rather go for colours such as green, yellow, orange and red. – Before posting your advertisement, test as much as possible! Make sure the banners are correct, double check your target and read the texts, click on the CTA and just make sure everything is correct, so you would avoid publishing mistakes that will make your product look bad. At the end of the day, nobody likes to click on a button that doesn’t work. Do the text say what you want them to say? Is there a “Thank you” message upon completing the registration forms? Is the landing page correct? Take a close look at all of these points and activate your announcement only after checking carefully. – Do not stay with one lonely announcement for many days, the only way to be sure if the strategy worked or not, if it needs an improvement or if it was a success, it must be compared to other. This being said, it will be hard to see the results of a campaign until you don’t have many announcements posted, as it is important to compare to others. – Analyse the results and make the according changes if necessary. Never make more than one change at a time, this will allow you to understand which one of them were correct. – Take advantage of your Facebook’s account to repost your announcements over the blog, adding the link on Facebook. This could be an easy, practical and economical way to send traffic to your site. Use Facebook as much as other social media to talk about your product, your brand and its’ benefits. Take advantage of the possibilities this sort of tool gives you, in order to turn yourself into a successful entrepreneur. Are you still not part of our team? Don’t hesitate, register now! Next How to work from home and make money?